Hi just wondered if anyone else that was on the Ripwire 24/2 package has been migrated over and what their connection is like? I was changed over yesterday and since then I've had multiple disconnects/reconnects, just like Ripwire did when I first connected, though in Ripwires defense for the last few months I've not had any disconnects. 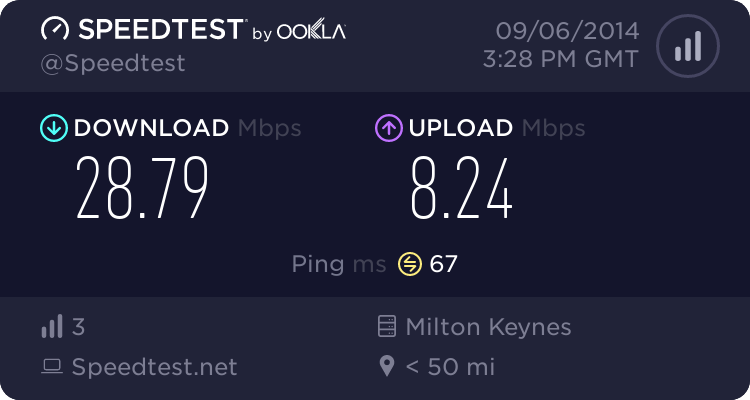 My biggest complaint is the speeds, download with Ripwire I'd get around 18meg in peak times and 23meg when things were quite. Today I've been struggling to get 4meg down. 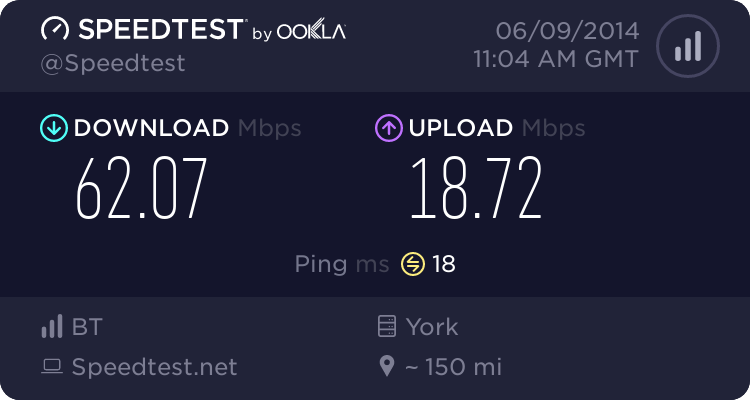 Upload is consistent at around 1.5meg any time. I think @topcat0908 has the same package as you. You two are the ones I know on that package. EDIT: 18:07. 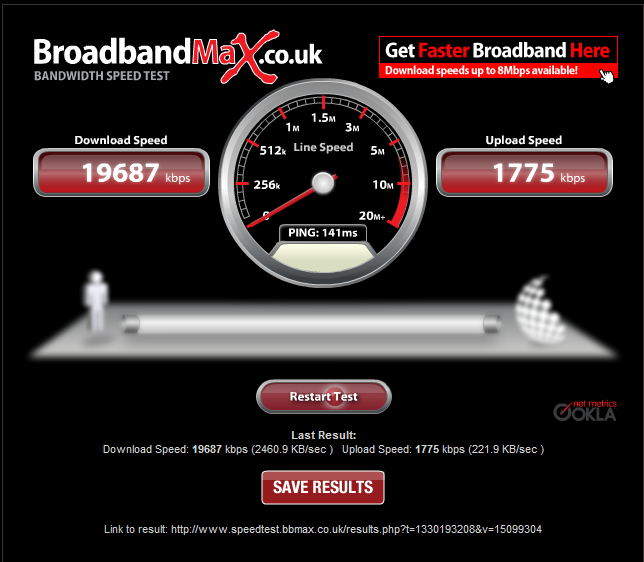 Speeds better, but ping is shafted. 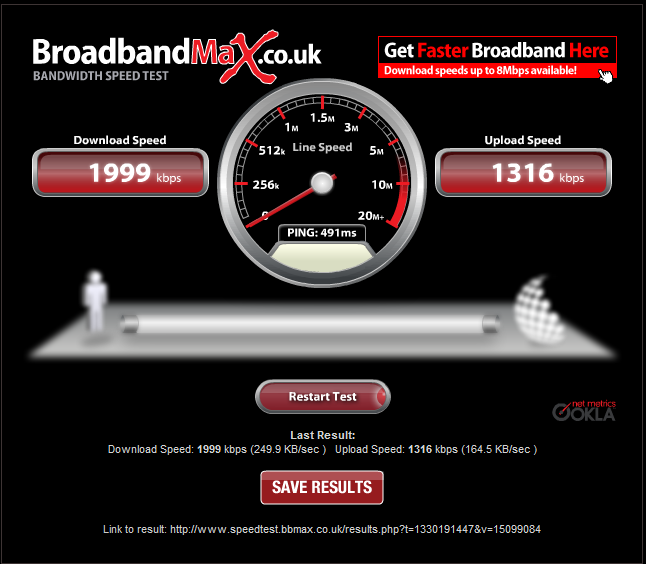 I would have believed it could be contention ( Dinnington exchange ) except my speeds never dropped to this level when on Ripwire. (25-02-2012 07:33 PM)SpencerUk Wrote: I disagree. (25-02-2012 05:53 PM)wraith Wrote: Hi just wondered if anyone else that was on the Ripwire 24/2 package has been migrated over and what their connection is like? If you PM me your personal details I'll pull out the PPP drops we've seen at our side to see how bad it is and so you can correlate them with what you've seen. With regards to speed, raise a ticket with our support team (support@ask4.com) and they can get Thales to check profile/sync etc. As @SpencerUK mentioned I am on the old Ripwire 24/2 package. Migrated across on Friday with no problems. Speeds and pings look the same as they were on Ripwire. Am still having a few disconnects/reconnects daily, which was the same as Ripwire. Never looked into it as it never really interrupted browsing etc, and always reconnected straight away. Should I raise it now with Ask4? Also, I thought we were being moved from 24/2 to 40/10?